New Orleans-based Gina Forsyth is an award-winning singer/songwriter, who is known for her wizardry on fiddle and guitar. With an alto as unique as it is soulful, unpretentious songs that cut straight to the heart, and a wicked sense of humor, her live performances are legend. 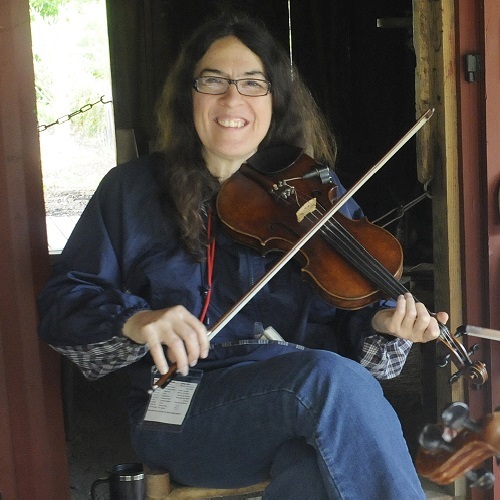 Considered one of the best Cajun fiddlers in Louisiana—no small feat—Gina is in demand from many other musicians as a session player and for club gigs and festivals. On Gina’s latest CD, Promised Land (2012), the title song reached #1 on the Folk DJ list in January 2012 and the CD ended the month at #3. It also made the final voting round of 50 by the Recording Academy to determine the nominees for “Best Folk Album of the Year” for the 55th Annual Grammy Awards. Emerging Songwriter Winner – Napa Valley Music Festival; People’s Choice Winner Folk – Offbeat Magazine, New Orleans; Best Singer/Songwriter – Offbeat Magazine, New Orleans; New Folk Finalist – Rocky Mountain Folks Festival; Emerging Artist – Falcon Ridge Folk Festival (2015). Gina avidly promotes of her gigs and music through Facebook, Twitter, YouTube, SoundCloud, her website, and a newsletter.